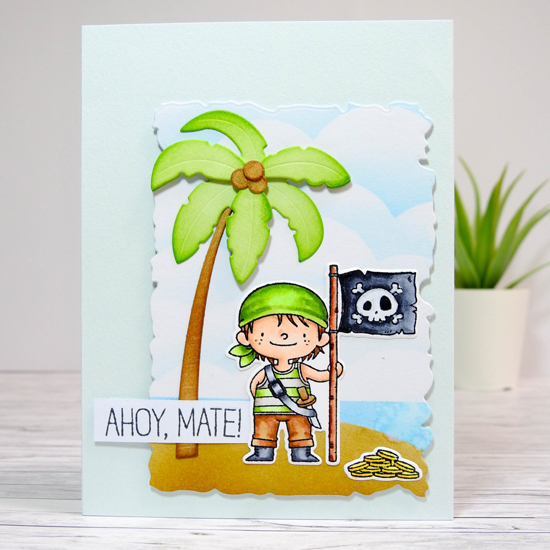 Nina created an adventure filled scene featuring a charismatic pirate ready to set sail! We love how the bright colors she used really make the images really stand out against the natural landscape. 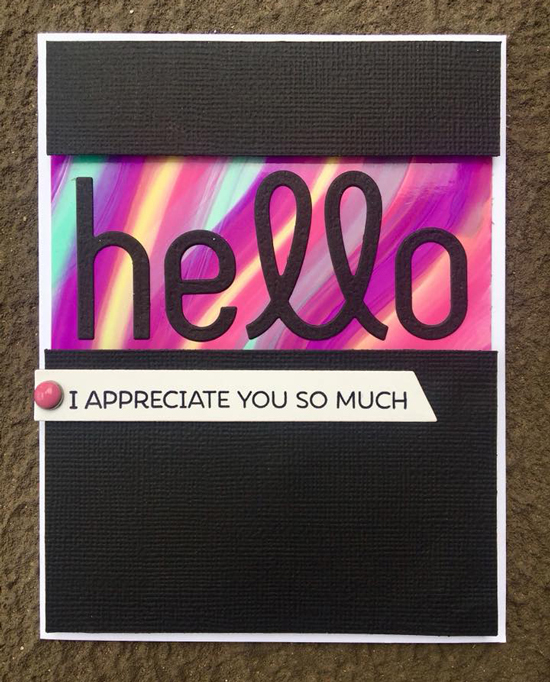 Allison used brightly colored alcohol inks to create a gorgeous background behind her large die cut sentiment. She further emphasized the stunning color display by limiting the rest of the design to black and white. 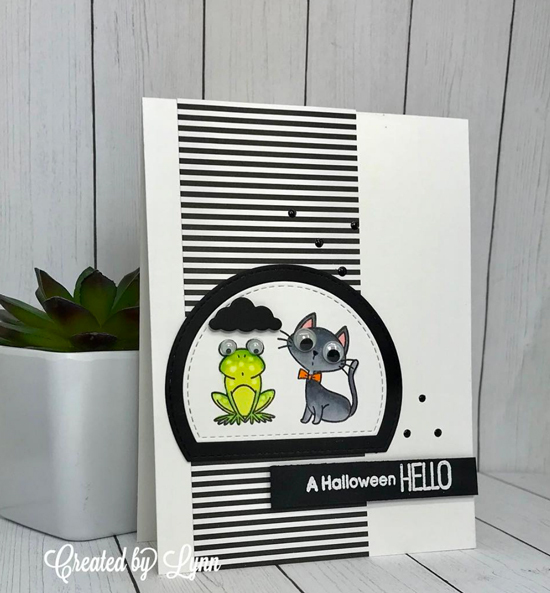 Lynn used the charming characters from the Witch Way is the Candy stamp set to create a monochromatic Halloween design with a single pop of green. We love how she layered all of the black and white elements to complete her design. 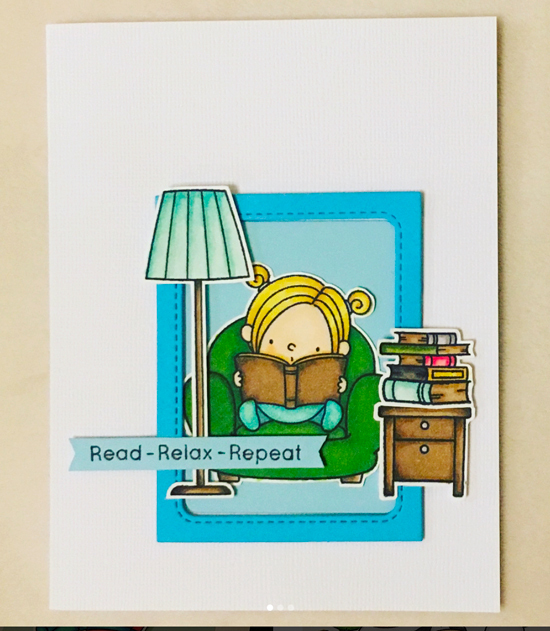 Beata created an adorable scene complete with a sweet little reader and her stack of unread books. Adding the framed panel behind her images is a great way to anchor all of the elements and provide a cohesive look to the design. 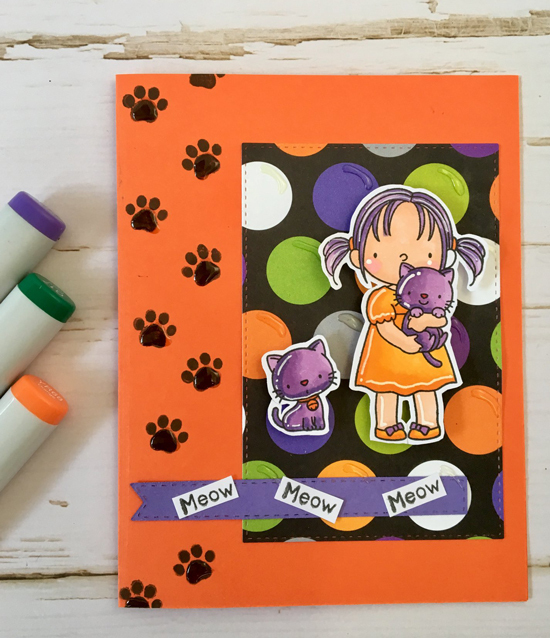 Orange, purple and black is always a great idea on a Halloween card! Meghan added a fun polka dot background to her card base before layering her stamped elements on top. The pawprint border adds a fun, playful look the design. OMG! 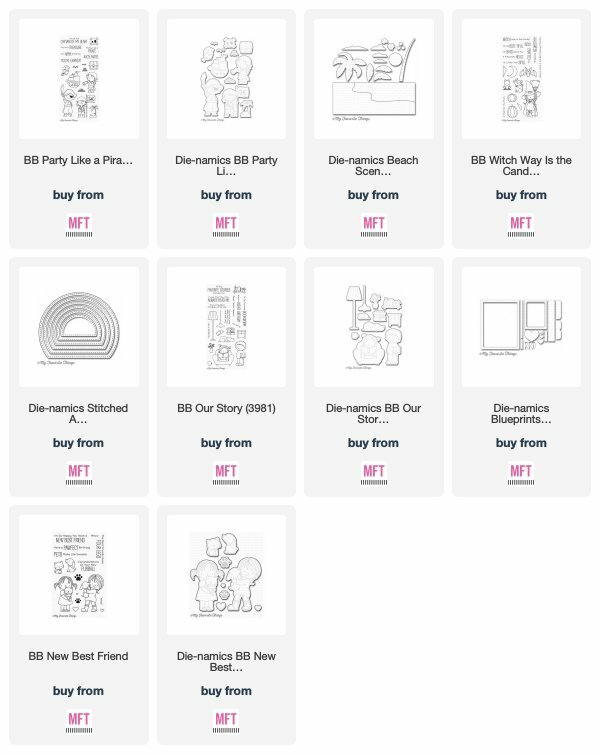 Thank you so much for picking my card!!!! Such an honor to be among such GORGEOUS CREATIONS! Thank you so much for showcasing my card, you made my day! Congrats to everyone spotted.